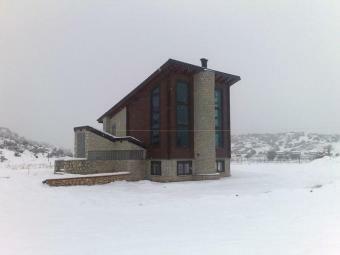 The chalet is created in a space of 150m2 and has three levels. They are all decorated with stone, wood, glass and iron that are perfectly combined giving a special character to the chalets. The architectural design with the big crystal surfaces creates a unique atmosphere, as far as interior decoration is concerned, and the quality materials give the sense of luxury and practicality.